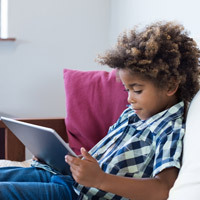 With an increasing number of TV channels and programs, it can be hard for parents to monitor what their children are watching. The TV Parental Guidelines give parents more information about the content and age-appropriateness of TV programs. The television industry designed a TV ratings system  known as the TV Parental Guidelines  to give parents more information about the content and age-appropriateness of TV program. The TV ratings can be used in conjunction with the V-Chip — a device built into most television sets — to allow parents to block out programs they don't want their children to see. 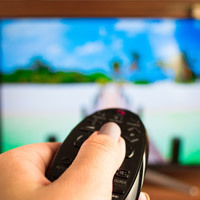 Parental control technology in cable and satellite set-top boxes can also be used with the TV Parental Guidelines to block programs based on their rating. 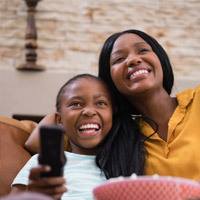 The TV Parental Guidelines Monitoring Board is comprised of experts from the television industry and public interest advocates who are responsible for ensuring there is as much uniformity and consistency in applying the Parental Guidelines as possible. The Board also reviews complaints about specific program ratings to help ensure accuracy.